A large part of the therapeutic applications of biomedical research is generated in innovation incubators. More than 70% of new drugs come from discoveries made by small structures close to academic research, which have a greater capacity for innovation than larger companies. These ones invest in start-ups by buying them or acquiring licenses. With a high potential environment, well-known biomedical teams, a significant public funding (Crédit Impôts Recherche, Banque publique d’Investissement), we could have had a ringside seat. However, the centralization is not compatible with the biomedical innovation and startups and the system has generated a monster of complexity and inefficiency. 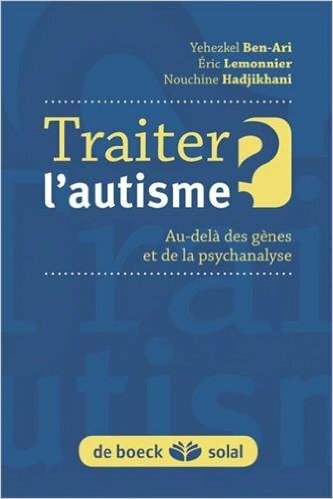 I will trying here to analyze the limits of the current translation system and to suggest some possibilities to better exploit the fertile soil of French biomedical research. Each public structure has his own translation structure. This is accompanied by a plethora of administrative acts, a significant slowdown in terms of agreement with investors and the pharmaceutical industry. If, as so often, discoveries involve several organizations, delays can jeopardize newly founded start-ups. The single representative is planned in the texts, but in the field, one can wait 6 months to have 3 signatures. That is in addition to the opacity of functioning and the remuneration of intermediaries, the absence of a common reference system, distortions of competition and the absence of a mediator in case of conflict. Structures encourage public teams to take patents and hire a plethora of experts -often on fixed-term contracts with salaries that do not match the normal ones- resulting in an excessive turnover and an inability to analyze projects. This difficulty makes it difficult for startups and public teams to collaborate, while this complementary is a source of progress and innovation. The bottleneck lies after the seed phase when the very small company has to become a medium-sized company and raise millions of euros. If public financing of the promotion is a considerable asset, the private investments are deficient, because often wanting a fast return, without risk and with little means. As usually the public translation structures do not have the means to raise these funds, the researcher has to undertake all the steps himself. Yet, the translation structure will still perform a tidy check of all stages and require financial commitments that make the fundraising difficult if not impossible, thus handicapping the survival of the project. It is a diversion of the legal texts (derogation in 1996 of the article R 611-12 of the Code de la Propriété Intellectuelle) which provide that the public structure can decide not to value an invention and to give the property of its discovery up to the discoverer in exchange for the signature of an agreement with the public authorities. These texts allow a return on investment for public research while providing a space of initiative to the discoverer and a lighter administration. Finally, the often major investment must be recognized and rewarded by the reduction of half of the sum of money institutions debited by the public institutions. To summarize, it is urgent to restore order and simplify life to researchers, otherwise they will be fewer and fewer to walk this path and discoveries will be lost / expatriated with the positions created by these companies. A translation structure should be limited to a representative structure and a fixed rate should be established according to the role of maturation or control exercised. There is no applied research, there are applications of basic research, said Pasteur; it remains valid today. The treatments of tomorrow will be generated by a good collaboration between public and private research by facilitating bridges between the two and it requires a redesign and simplification of the translation system. The moment seems opportune, the current government seems committed to simplify the administration and encourage the promotion of research, the only thing remaining is to to translate these good intentions into action.